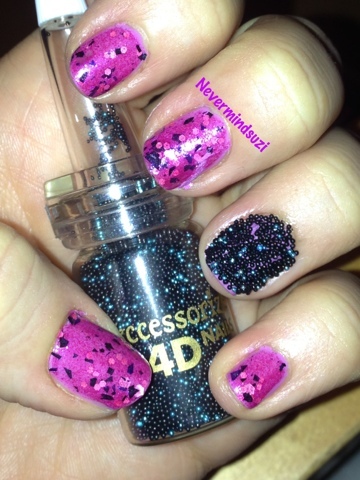 I've got some more gorgeous Glitzology's to show you. 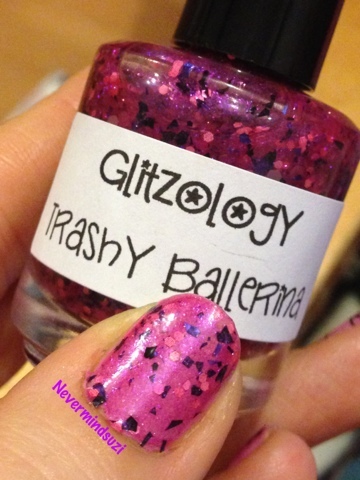 Trashy Ballerina is a pink jelly base full of pink shimmer and pink, purple and black shards of glitter. 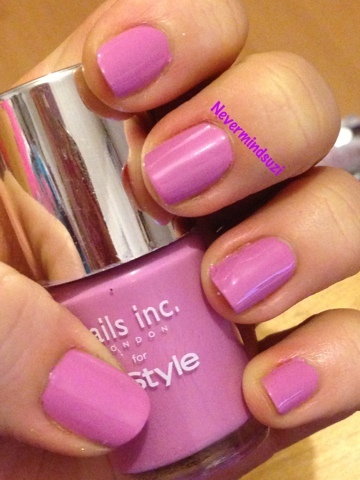 I popped it over Nails Inc - InStyle Power Pink. I decided I wanted to do an accent nail and had in my head that I'd like a full nail ribbon design so I did this. 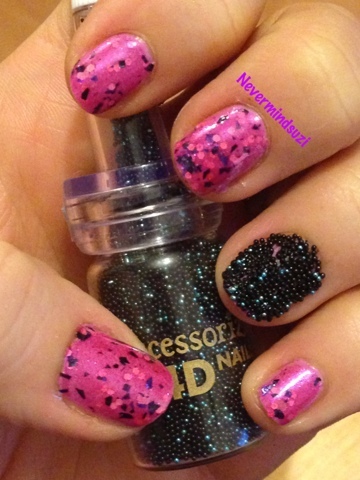 But when I wasn't 100% happy with it I decided to try out my caviar beads, only to discover I hate them. So the accent nail was no more and I painted it the same as the others (but forgot to take a picture).